I am so excited to write this. I'm an author!! 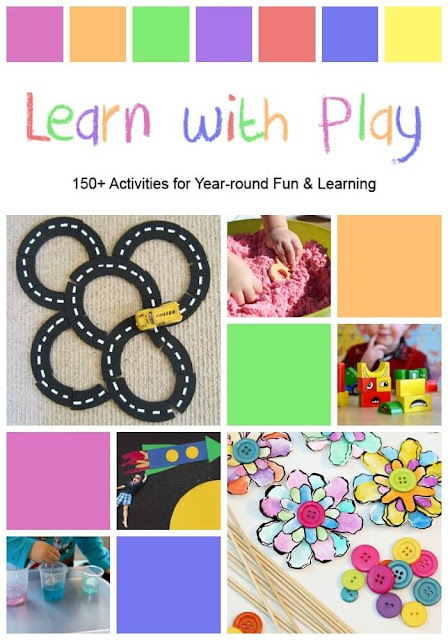 Today, Learn with Play: 150+ Activities for Year-Round Fun & Learning is being released, and I am one of the contributors! Learn with Play is the product of an amazing collaboration by over 90 bloggers who are members of the Kid Blogger Network. I am so honored and proud to be part of this group and to have been able to work on this project. Learn with Play is a huge collection of our favorite activities for little kids, from babies through kindergarten. Inside, you'll find general play activities, learning activities, life skills for kids, organizing for play and learning spaces, and my favorite, seasonal activities! I was really happy to contribute our favorite Thanksgiving and Christmas activities to the book. 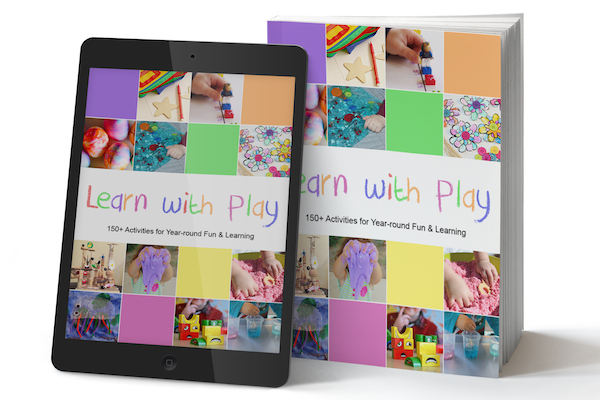 Learn with Play is available on Amazon in paperback, Kindle, and E-Book. The E-Book is on sale this week only to celebrate our launch - only $9.95! Get your copy today and get playing! Be sure to follow us on Facebook for information on upcoming giveaways and discounts too!